Genocide has never been so cute! 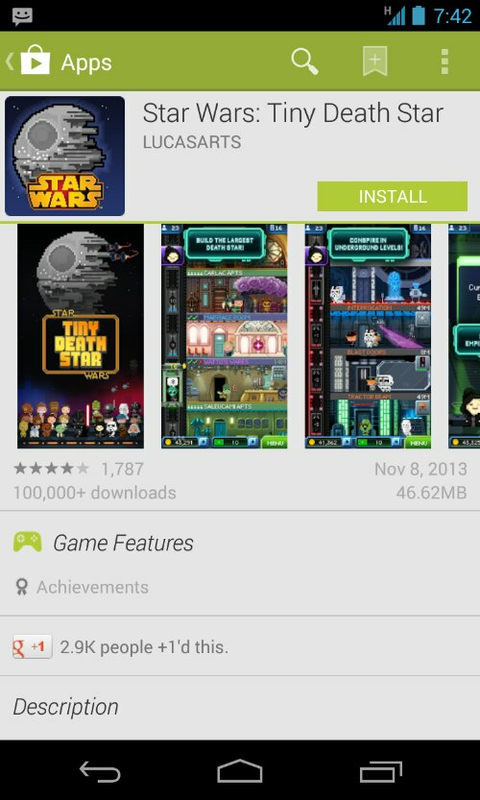 From Disney Mobile, in partnership with LucasArts and Nimblebit, the makers of Tiny Tower, comes an all-new mobile game about everyone’s favorite space station, STAR WARS™: TINY DEATH STAR™! With the power of the Dark Side, you’ll be able to… BUILD THE LARGEST DEATH STAR AROUND: Earn credits to expand your Death Star, and build over 80 types of Star Wars themed residential and commercial floors like Rebo’s Karaoke and Cloud City Spa! FUEL THE EMPIRE’S EVIL SCHEMES UNDERGROUND: Below the hustle and bustle of the businesses above, build secretive, underground imperial levels to craft special supplies that will aide your Imperial troops in the fight against the Rebels. CAPTURE REBEL SPIES: As stealthy as your Death Star development may be, expect break-ins from Rebel spies such as Luke Skywalker, Princess Leia, and more! Capture them before they escape! UNLOCK ENTERTAINING STORY MOMENTS: While running your Death Star, keep your eyes peeled for new scenes featuring many of your favorite characters like Han Solo, Chewie, Jabba the Hutt, and more. Hurry and get on your way to building the largest, most destructive space station in the galaxy! There’s maybe five media studies books’ worth of material in this. This entry was posted in Media, Movement Culture, Research and tagged beyond satire, disney, MICKEY MOUSE IS THE ANTICHRIST, nonviolence, star wars on November 8, 2013 by Michael ONeil. 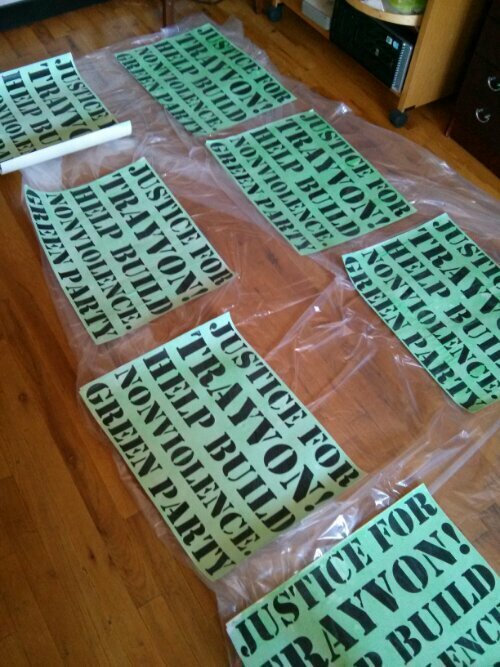 This entry was posted in Actions, Green Politics, Movement Culture and tagged graphics, nonviolence, posters, Trayvon Martin on July 14, 2013 by Michael ONeil. This entry was posted in Research and tagged drones, EFF, no police state, nonviolence, surveillance on May 22, 2012 by Michael ONeil.